Western Bulldogs will embrace the local community in Warrnambool next month. 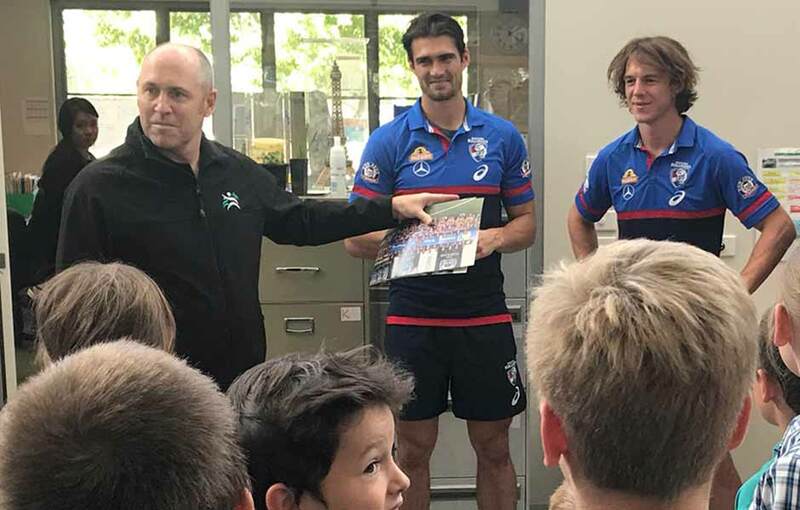 The Western Bulldogs will head west as part of the 2019 AFL Community Camp program, embracing the local community in Warrnambool next month. On the back of the Bulldogs’ second JLT Community Series match, against St Kilda at Mars Stadium in Ballarat on March 10, the squad will head to the coastal hub for an action-packed two-day camp on March 11 and 12. It will see players and coaches taking part in various activities, including local school and hospital visits, a NAB AFL Auskick Super Clinic, a coaching clinic and a community dinner with the opportunity to meet players and coaches. Over the past three seasons, the Bulldogs have visited Ballarat, Hamilton, Horsham and now Warrnambool through the AFL Community Camp program – also the homes of the Club’s four Next Generation Academy regional hubs. *More details about how to get involved in programs throughout the camp will be available in due course. This year marks the 17th year of the AFL Community Camp program. Since the camps began in 2003, more than 1.2million school children have been reached during school visits across Australia, and more than $800,000 has been raised for junior football, community clubs and local charities.